Plonk’s wine cellar is whatever you want it to be: a place where six people can dine in total luxury, a backdrop for a small, relaxed dinner with friends and family, or a venue to host a customized event accompanied by a four- to seven-course wine tasting dinner. Plonk’s wine cellar dinners are designed with the client, with handpicked selections of wines from around the world to accompany individual palettes and preferences. The wines compliment a customized event menu rich in seasonal, fresh produce and products whenever possible. 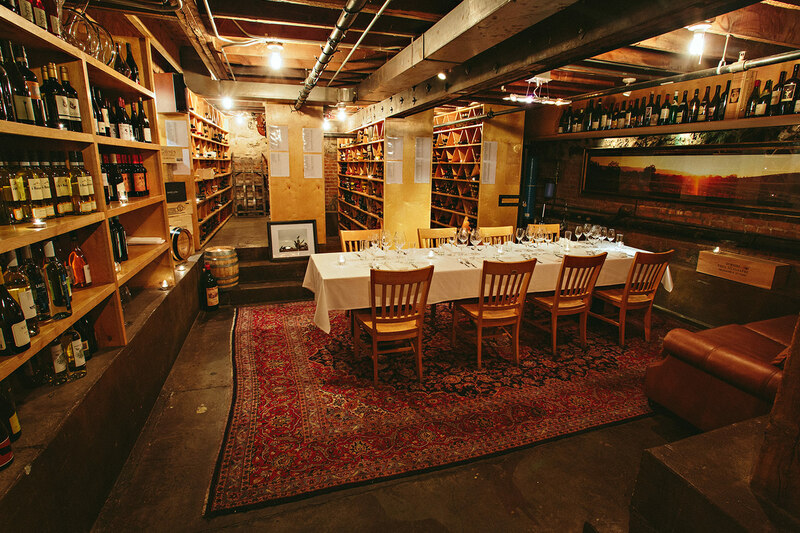 The Plonk wine cellar accommodates up to 16 people seated at one table or up to 24 people at two tables. A four-course offering starts at $70/person, with seven courses for $100/person. Wine pairings are selected on an agreed upon price per bottle but is not a requirement of the reservation. A gratuity of 20% will be added to all cellar functions. Reservations are required, just fill each field below with your event’s details and our events coordinator will get back to you within two business days. Filling out this form does not constitute a reservation and all details are subject to revision upon followup. This is a requested date. The events coordinator will be in touch to confirm. Final reservation count must be confirmed 48 hours prior to the event. The food charge will reflect that final number. This is not a final decision. You will have an opportunity to discuss menu specifics with the events coordinator or chef. Reason for Dinner ie. birthday, business, etc.